Workaholics fans of the Inland Northwest rejoice! 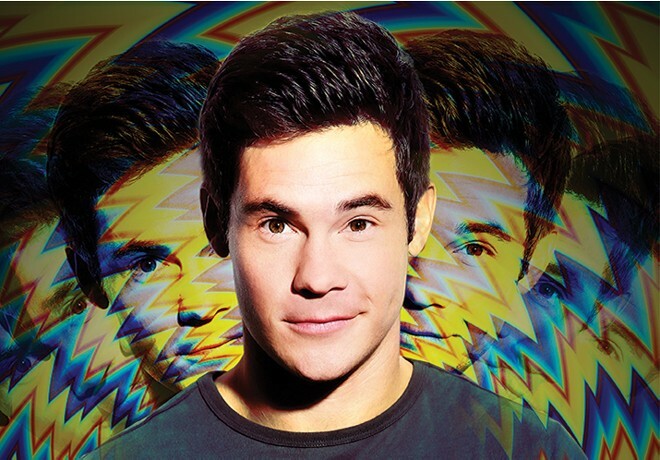 Adam DeVine is coming to Spokane in the spring on his "Weird Life" standup tour. Granted, some of you might know him not from Workaholics, but from his roles in the Pitch Perfect movies, as a nanny on Modern Family or from the recent Mike and Dave Need Wedding Dates. Whatever the case, Devine will be doing a one-man show on Wednesday, March 1, at the Bing Crosby Theater. Tickets for DeVine go on sale Friday at 10 am via TicketsWest outlets and the Knitting Factory. They are $39.50 for floor seats, $29.50 for balcony, and there will be a limited number of early-bird tickets available for $19.50. Head over to DeVine's Facebook page for more info on that, although I had a hard time finding it. Try calling the 800-325-7328 and ask the TicketsWest folks for the deal on early-bird tickets.